Whether you’re looking to upgrade your home with new window coverings or considering replacing old ones, the process of choosing the right products can be an overwhelming task. With various options for shutters vs. curtains, French Brothers Custom Shutters is here to help you decide the proper installation. After weighing the benefits of each, we recommend shutters over curtains as a better long-term investment for your home renovation. Though the delicate materials from curtains offer an elegant and stylish appeal to your home, they attract more dust and dirt and that is far from elegant. Not only are curtains likely to fade due to the heat and the sun, but can also develop unwanted mold and mildew that are hard to remove. Whether you want to clean curtains by hands or send them to the dry-cleaners, installing and re-installing them is a time consuming chore while the hassle of up keeping them becomes tedious. Shutters, on the other hand, are easy to maintain. A lambs wool duster, and a quick swipe is all you need to uphold the classic charm all while keeping shutters looking like brand new. When you’ve got so much going on already, don’t let dust consume your day. Save time and energy for the outdoors instead, hiking with the family or enjoying a little me time! 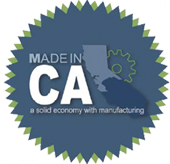 With high wind warnings spreading across Southern California, you need durable window coverings built tough to withstand the most severe weather conditions. Since most curtains are made of linen materials, they won’t be able to provide an extra level of protection from the outdoors. Known for durable characteristics and moisture resistant, Poly/Synthetic Shutters are made from materials high in tenacity and resilient against hazardous conditions. They not only protect your carpeting and furniture from the damaging sunlight but also are sturdy enough to shield your home from heavy rains, debris, and other severe weather. 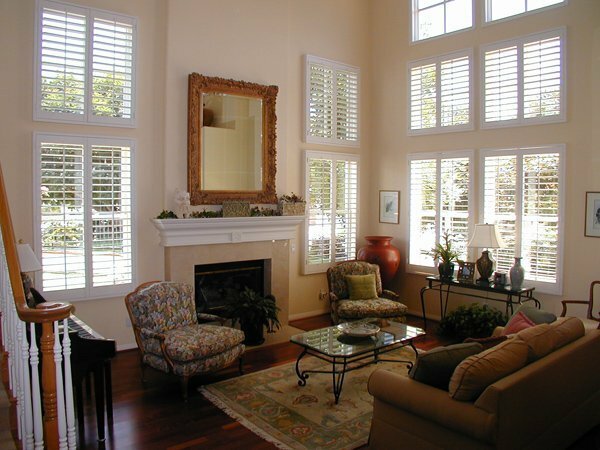 Take the extra step to safety by installing your window coverings with shutters. One issue to think about when debating between shutters vs. curtains is light and airflow. Though thick curtains can prevent summer heat from coming through your home, they block out complete sunlight and fresh air. With plantation shutters installed in your home, you won’t have to worry about shutting out the unnecessary parts and can fully enjoy your home. Double hung shutters can keep sunlight out in various degrees while controlling the airflow depending on the angle you want. Though curtains offer versatile styling options, the fabric cost may be more than you want to pay for. Inexpensive materials can help you achieve the functionality you need but may have added extra costs due to their low quality. Curtains also accumulate dust over time and quality curtains require expensive dry-cleaning regularly to maintain their polished look. Why spend more money on unnecessary draperies and cleaning when you can save it towards your next vacation? Full of character, elegance, and functionality, louvered wood shutters are durable investments that can enhance any home’s resale value. They’re energy efficient, with materials made from Thermalite that cuts down AC cost by cooling room temperature during the summer or absorbing heat during winter. French Brothers Custom Shutters offers louvered wood shutters that come with a patented finish guaranteed for a long-lasting touch, making them the perfect permanent window coverings over those outdated curtains. Always in style with a classy touch of modern flair, shutters beautify your home with their refined look while increasing the capital value of your property. Without spending a fortune on dry-cleaning or buying new ones to keep your home looking fresh, shutters are a perfect choice for any home remodel. Check out our beautiful gallery and let French Brothers Custom Shutters assist you in the process with our refined service and large product samples!